Swings 180 degrees for secure, safe storage of your PWC. 1000 & 1500 lb capacities. 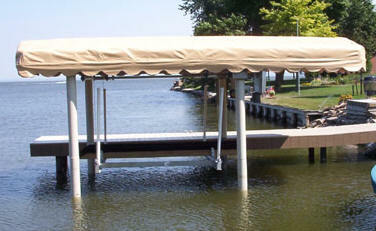 Installs on docks, pilings, or seawalls. 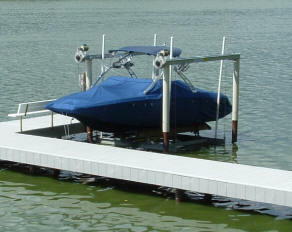 7' of travel distance from dock into water standard. 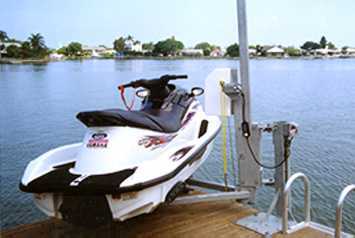 See Pile Driven Lifts for More Information. 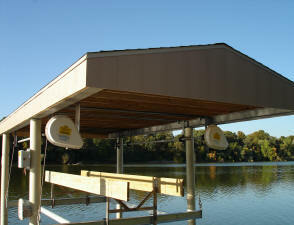 Installs easily into existing roofs & over-water boathouses. Galvanized steel or aluminum construction. 4000 to 14,000 lb capacities. 1-motor systems - Chain drive winch. 2-motor systems - Direct drive winch. 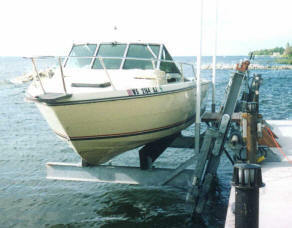 Seawall or piling mount installation.